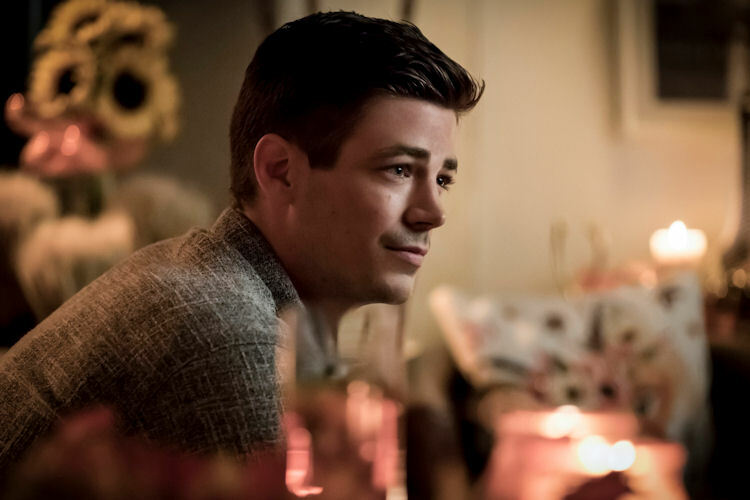 What’s the scoop: Barry has his monthly brush with death and it freaks Nora out, which is unfortunate since there’s a new Weather Wizard on the loose, and Central City could really use some saving. 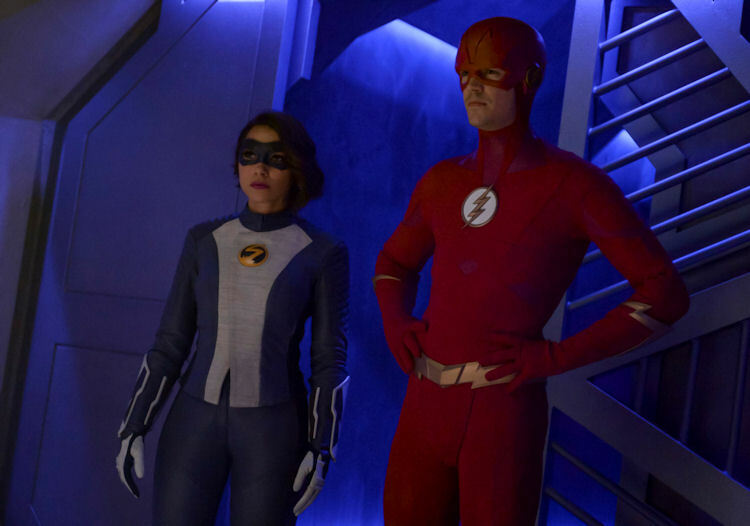 In a fit of selfishness, Nora gets mad at her father and asks him not to be the Flash anymore, because it’s the only way to guarantee her birth, and his survival. Wells, Cisco and Caitlin look back on the garbage of their last year, and decide they have nothing to be thankful for. Meanwhile in B-plot Land: We get a big slice of Cicada origin story, here. He was a self-loathing loser of a person until his daughter came back into shock him back into reality. Over the course of the year, he betters their lives, does some home renovations, and builds a dollhouse. Of course the night they celebrated a year since their reunion, a satellite comes crashing to earth, sending dark matter shrapnel everywhere — including a big dagger shaped piece into Cicada’s chest. A nurse, who clearly hasn’t been watching Supergirl this season, blames those damned dirty metahumans for putting his daughter into a coma, and a supervillain is born. 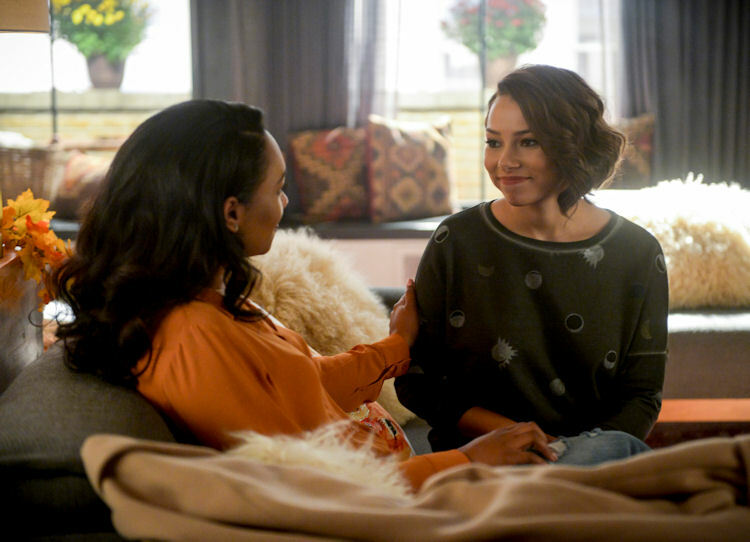 What about the action: Team Flash verifies that Weather Wizard is safely in his cell and hasn’t left, when his daughter, Joss (aka the Weather Witch), shows up with a dark matter tech staff to bust her old man out of jail. Barry quickly hides dear old daddy away, and Weather Witch sets a deadline to release her father, or she’ll destroy the city. Barry and the gang try to pull a ruse using a hologram of the Wizard, and the Witch drops a truck on it (he wasn’t a good father). This enrages the Witch, leading to a showdown at the airport. She creates a tornado of lightning, which requires a risky maneuver from Barry to counteract. He gets Nora’s blessing after she sees all those innocent people in the hangar. There are a few tense moments, but Thanksgiving is saved, thanks to Barry. What’s next: Barry goes back in time to fix the present; what could go wrong? Last impressions: It feels like Nora has become this season’s Amazing Plot Device, which has made her actions inconsistent. Whatever story the writers want to tell in a given week, Nora has the appropriate reaction to serve as a conduit for that plot. It would also be helpful to pin down exactly how old Nora is supposed to be, because it might help explain her emotional swings. Sometimes she plays like a teenager; sometimes she’s more mature. Jessica Parker Kennedy is in her mid-30s, so that’s no real help (but impressive that she can convincingly pull off someone teenager-ish). This is a fairly minor quibble for what has been a solid season, but it would be helpful if Nora learned as she went along, rather than lurching from one reaction to another.